Adam Brett grew up in Uganda but went to the UK during the Amin period and subsequent civil war. In the late 1980s, he returned to Uganda as an adult with a plan: to enable Ugandan farmers to produce quality sun dried fruits using a low tech, low cost solar drier he had designed. Teaming up with a Ugandan friend, Angello Ndyaguma and his English partner Kate Sebag, Adam set up the fairtrade company Fruits of the Nile. It distributed solar driers to farmers at cost, trained them in using and constructing them and then bought the resulting dried fruits at guaranteed good prices from the farmers. 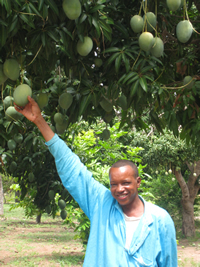 Soon, considerable numbers of farmers began working with the driers, producing gorgeous sun dried pineapple, bananas and mangoes for onward sale. 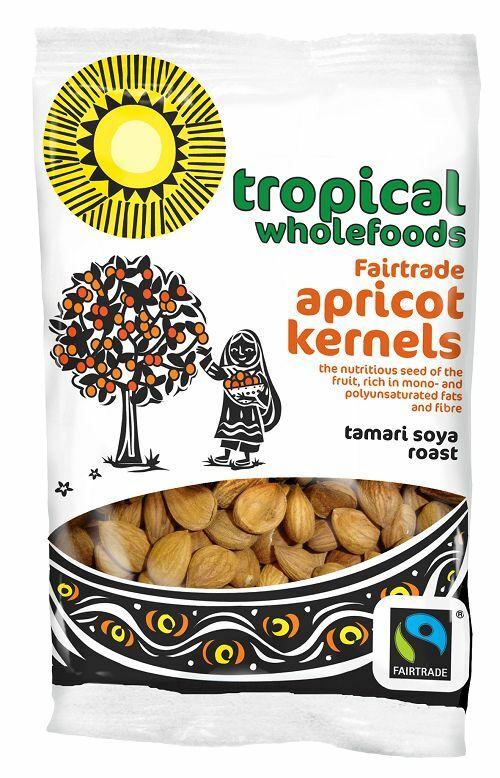 Back in England, Adam and Kate marketed the products under the label Tropical Wholefoods, initially from market stalls and then from a factory in south London. They quickly built up a small but dedicated fan club for Tropical Wholefoods products. People were attracted by the fresh and powerful flavour of the dried fruits – especially because they were 100% natural with no added preservatives or sugars. Because the fruits were dried immediately after harvesting, they preserved extremely good flavours. The buying public also liked the simplicity and directness of the operation and the clear benefits that Tropical Wholefoods was able to deliver back to farmers in Uganda. Adam and Kate were able to sell directly to retail shops in London and attracted the custom of larger distributors in the health food and delicatessen trade. According to Kate, “Running a packaging factory and doing delivery runs around the capital wasn’t exactly what we imagined we would be doing when we started the business. We thought we would be living in Uganda, but we found that intensive marketing and product control in UK was necessary to build our brand.” With Adam and Kate deeply involved in building a market in the UK, day to day control of the Uganda operation passed to Angello Ndyaguma. Supported by a number of Ugandan aid agencies, Angello undertook extensive training sessions with farmers in solar drying operations and business management. Today, there are about 100 different solar drying sites in Uganda, who have organised themselves into six different Community Based Organisations. In many cases, people operating solar driers use their own fresh fruit to fill their driers, adding value to fresh fruit. 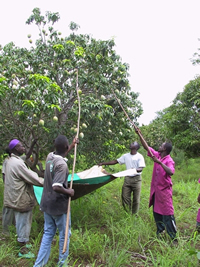 Solar drier owners also buy fresh fruit from other farmers, therefore providing them too with a market for their produce. Both fresh fruit farmers and solar dryer operators are certified Fairtrade by the international Fairtrade Organisation FLO. “Thanks to solar drying our pineapple, I have not only been able to send my child to a good city boarding school, I also have now managed to go back to school to advance on my academic standards as I had dropped out when my dad passed away,” says Umaru. 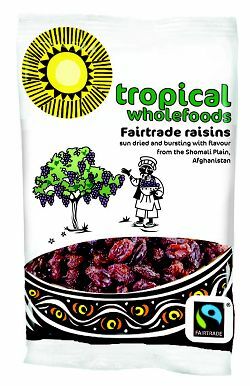 Tropical Wholefoods’ good example in Uganda led other fairtrade businesses in developing countries to get in touch and Adam and Kate are now trading and doing business development work with partners in Burkina Faso, West Africa, Northern Pakistan and Afghanistan. Back in the UK, Tropical Wholefoods teamed up with Fullwell Mill in 2001. Initially a small Sunderland bakery employing people with special needs, Fullwell Mill has now expanded to a staff of 35 who pack all Tropical Wholefoods products as well as baking their dried fruit and cereal bars and making energy and health food bars for other companies. Fullwell Mill now owns the Tropical Wholefoods brand, and Kate and Adam are directors of FM along with original founders Richard Friend and Peter Fawcett. This merger has left Adam and Kate freer to concentrate on development work overseas as well as marketing work in the UK. In 2003, Fullwell Mill was awarded first place in the North East for the Inner City 100 Index – an index launched by Gordon Brown MP, the New Economic Foundation and Royal Bank of Scotland to reward the fastest growing and best run inner city companies in the UK. Nationally, FM was sixth overall. This is not the only prize to have been collected by the Tropical Wholefoods/FM Foods team. 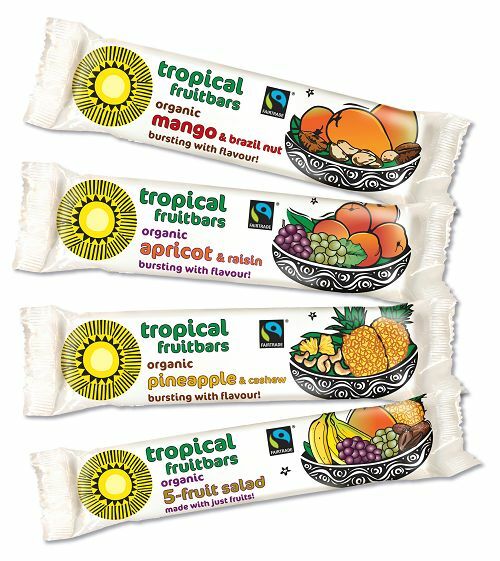 In 1998, they were the winners of the World Vision Award for Development, when the judges commented that “Tropical Wholefoods are an outstanding entrepreneurial team, giving heart to people who would not normally aspire to a stake in the quality end of the food market of the developed world.” In 2000, they won the National Westminster and Directory of Social Change Enterprising Solutions Award. In 2010, FM were winners of Sainsburys’ Own Brand Supplier Awards – Best for Corporate Responsibility. Tropical Wholefoods website has an excellent recipe section, we specially liked the mango chutney and amoretti biscuits recipes.